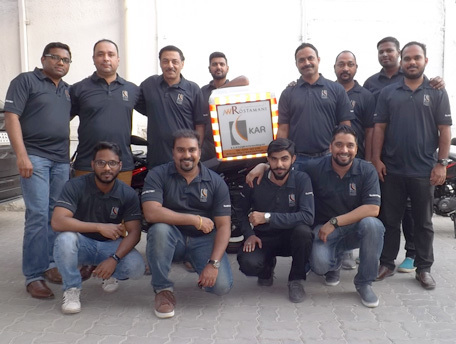 KAR Transport Wins Prestigious RTA Dast (Dubai Award For Sustainable Transport Award) For 2018 Cycle. KAR Transport has won the prestigious RTA Dubai Award for Sustainable Transport for “Mobility Management” category. A grand awards ceremony was hosted by RTA Dubai at Zabeel Hall, Dubai World Trade Centre on 27th Feb 2019 to recognize the winners of this prestigious award for 2018 Cycle, in other words the 11th Edition of the Dubai RTA DAST Awards. H.H. 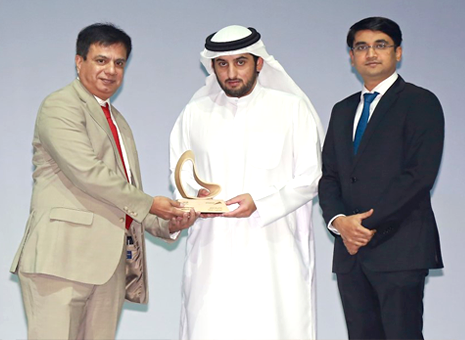 Sheikh Mansoor Bin Mohammed Bin Rashid Al Maktoum, Chairman of the Dubai International Marine Club presented the award to Sandeep Sahae, CEO KAR Transport and Sandeep Arora, Head of Business Excellence. Also present on stage were H.E. Mattar Al Tayer, Director General and Chairman of the Board of Executive Directors. Under the patronage of H.H. Sheikh Hamdan Bin Mohammed Bin Rashid Al Maktoum, Crown Prince of Dubai and Chairman of the Dubai Executive Council, the RTA DAST Awards was initiated in 2008 with an objective to promote RTA’s vision of safe and smooth transport for all along with recognizing individuals and organizations that implement successful ideas and sustainable practices in the areas of mobility and transport management for improving safety and environment. The award program also recognizes exceptional contributions towards RTA DAST objectives in various aspects such as best academic projects, student projects, sustainability ambassador, best media team, best journalist etc. 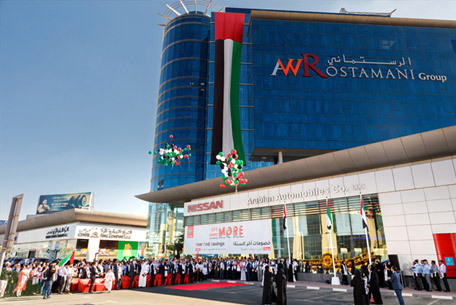 AW Rostamani Group (AWR) celebrated the 47th UAE National Day on Wednesday 28th November, with an array of special activities and traditional performances. Marking the joyous occasion and celebrating the ‘Spirit of the Union’, AWR Group employees came together for the event that highlighted the cultural heritage and diversity of the nation. Ms. Huda Al Rostamani, member of the board and Mr. Michel Ayat, CEO of Arabian Automobiles, also attended the event, alongside senior management. Employees based at AWR Head Office, were gifted with UAE cake pops, a National Day scarf and Year of Zayed badge to mark the occasion. The outside of AWR main entrance was transformed with music and decorations including a heritage village with traditional cooking station. Students from Next Generation school based in Dubai, performed the UAE National Anthem and read an Arabic poem to all employees gathered outside. To add to the festivities, there was a national quiz with prizes, and traditional Alyolla Dancing. Additional activities such as caricature drawings and tea cup calligraphy entertained employees and provided them with a souvenir of the 47th Celebration. KARFF’s new and exciting venture into the fast-paced world of E-commerce is exceeding expectations. On the 15th of October KARFF’s E-commerce Delivery Solutions officially started its operation and is continuously garnering momentum with a current average of 100 deliveries every day. With such promising start, KARFF aims to reach 1,000 deliveries every day in the coming months. KARFF’s E-commerce Delivery Solutions unique approach to E-com delivery services offers its customers the edge of time definite delivery, live tracking facility coupled with affordable rates. UAE is now poised to be the next e-commerce capital as it continues exploring innovative ways to boost E-commerce as a driver of economic growth. UAE’s rapidly growing young populations brings with it a high purchasing power and demand for quick delivery. KARFF’s E-commerce Delivery Solutions is more than up to the task to satisfy these requirements as the service guarantees next day delivery for domestic shipments with express service for same day deliveries also available as option. These coupled with their affordable rates and user-friendly website that can also be embedded to customers’ websites make KARFF’s E-commerce Delivery Solutions a practical choice for all E-commerce Entrepreneurs. KARFF is also now offering courier services for both domestic and international shipments. With the promise to offer flexible and personalize service, KARFF’s Courier Service aims to give a pleasant and seamless experience to customers. This new service is tailored to provide a better transit time than competitors while keeping it cost-effective for customers. KARFF’S Courier Service is also equipped with innovative technology such as live tracking of shipments, automated pre-delivery message and customer service support. KARFF has an especially strong inter-gulf connection and network that ensures faster delivery which is beneficial for both B2B and B2C customers. Everything around us enables everything else to be fast-paced. Since the turn of the century the demand and supply for faster solutions for commercial and everyday life consumption is on a parallel rise. As evidence to this, the world’s business landscape whether B2C or B2B has changed drastically and it continuously evolves side by side with technology. Global brands have completely embraced world wide web integration onto their everyday operations. The new behemoth industry of e-commerce is on its way to dominate the retail business. The Middle East e-commerce market itself is soaring in unprecedented upward trajectory fueled by competition. Just for this year the industry is estimated to be worth $29.9 billion and is forecasted to be valued at $48.6 billion by 2020. Robust internet and mobile penetration across the GCC has played an active role in enabling the growth of e-commerce in the region. Recent research conducted by Google reveals that the U.A.E. leads global smartphone penetration at 73.8 percent and the country’s internet usage statistics show that 91.9 percent of the population has internet access. As easy as it is to purchase anything with just a click, the aspect of getting the goods from seller to consumer is a different story altogether. Observing that there is a need to innovate further on this, KARFF introduces the newest addition to its arsenal of cost effective delivery solutions. KARFF E-commerce Delivery Solutions’ launch this October 2018 marks another milestone for KARFF’s ever-growing gamut of services. KARFF embraces the challenge brought by the market demand and promises to bring its signature expertise and customer service into the E-commerce arena. Strategically located to its new facility in Umm Ramool, KARFF is destined to be in the heart of the soon to rise hub of ECOM City which is estimated to be fully operational by 2019 and will be under the supervision of Dubai Airport Free Zone. 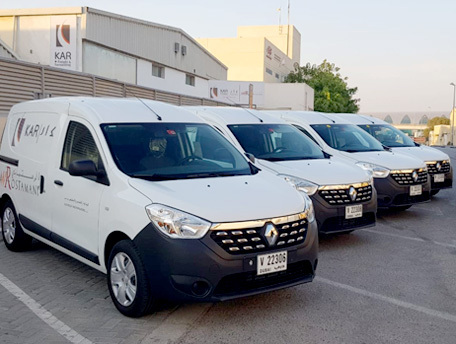 KARFF sets itself apart from its competitors as it focuses on inter-gulf express delivery, armed with Cash-On-Delivery capabilities for Saudi Arabia, Oman and Kuwait. But KARFF is not limited to these locations only, this new venture serves other domestic and international locations as well. On top of this, KARFF E-commerce Delivery Solutions features an innovative system that will enable customers to access real-time tracking for their packages, receive pre-delivery messages along with a fully integrated user-friendly app. KARFF has positioned itself to be your on-the-go, cost effective express courier and e-commerce delivery solutions company. As we progress into a more digitized and virtual age, KARFF has firmly set its foot into the future, with KARFF on the path to consistent growth. KARFF sets the bar even higher as it brings in a solid background from its years of logistics solutions expertise and the latest, most innovative product the digital world has to offer. KARFF E-commerce Delivery Solutions is the perfect union of traditional logistics and technology-centered approach. Annual all staff get-together for KAR Freight and KAR Transport employees on 7th and 11th January 2018 respectively witnessed a strong combined participation of over 110 members. 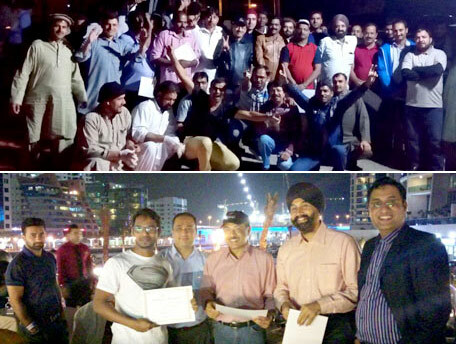 While KARFF employees had a fun and chilly night out on Dubai Marina cruise, employees at KART preferred night camping in the natural Wadi Showka in Ras Al Khaimah. The active and enthusiastic engagement of employees made the event enjoyable and a memorable one to all. Both events also saw some of the employees being recognized for their outstanding performances in 2017. It was a day filled with lot of fun, music and dancing, barbecue, fine dining & above all camaraderie among entire group. It was a great success, everyone had a fantastic time. On Wednesday 29th November, all staff of AW Rostamani joined together in front of the AW Rostamani Group building to celebrate the special occasion of the UAE’s 46th National Day. The event began with a welcome speech by AWR’s Emiratisation team. Following this, staff paid their respects with a one minute silence and rejoiced the National Anthem whilst three UAE flags were raised in front of the AWR headquarters. Balloons in the UAE flag colours were released into the sky, which was met with a large round-of-applause by the united audience. 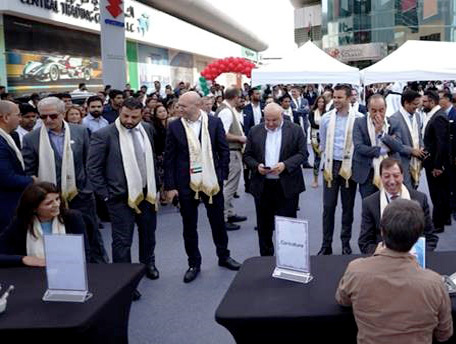 All employees were able to enjoy traditional Emirati cuisine cooked in an Arabian tent placed outside the AWR building, as well as Henna for women and National Day branded chocolates by Godiva were gifted to all staff. The Emiratisation team also organized a well-executed quiz with top prizes for winners. To end with a bang, a live military band electrified the crowd with a traditional dance and performance. The day was spectacular and the AWR Staff truly showed what this incredible Nation is about - unity, commitment, integrity and pride. 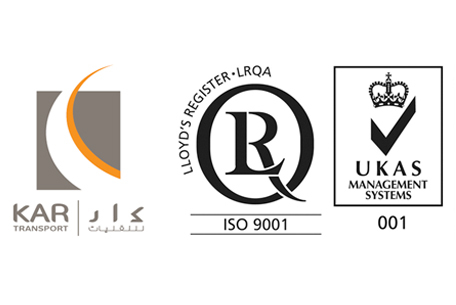 KART has successfully transitioned and became certified for latest ISO 9001:2015 standards for Quality Management System by Lloyd's Register Quality Assurance Limited (LRQA) during the most recent 3-day audit which concluded in August’2017. The new standards cover additional areas like Risk Management, Knowledge Management, Leadership Accountability and others. KART was earlier certified for ISO 9001:2008 standards. 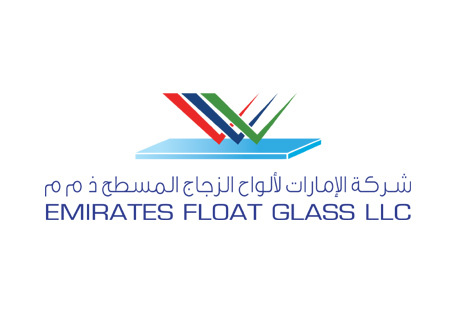 KAR Freight has signed a long term service agreement with Emirates Float Glass LLC which is one of the largest float glass manufacturing units in the region. Under this agreement, KAR Freight will undertake land transportation requirements for its esteemed customer in UAE and GCC. The Agreement signed will allow to continue active cooperation between both companies and to reap significant mutual benefits. “We are excited to play an integral role in supporting EFG’s vision of continual growth and customer satisfaction by providing efficient transportation services at competitive rates along with an excellent customer service”, said Sandeep Sahae, Director, KAR Freight and Forwarding LLC. 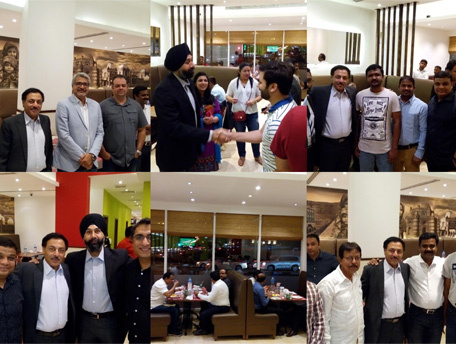 KAR Freight and KAR Transport held their 2017 annual Ramadan Iftar at the Barbecue Delights restaurant in Dubai. The event brought together under one roof more than 75 of our employees and some of our many esteemed customers. In addition to the unlimited and scrumptious selection of food, the evening was also an opportunity to catch up with friends and colleagues. Following the Iftar banquet, Mr. Sandeep Sahae (Director) addressed the audience and extended a warm thank you to all guests who were present at the gathering. He also expressed appreciation towards esteemed customers for the continuous strengthening of relationship and confirmed that the company was keen to achieve the highest customer satisfaction levels, and provide exceptional and unsurpassed service to its customers. He concluded his speech by congratulating everyone on the occasion of the holy month of Ramadan and wished everyone all the best. The evening also featured celebration of individual achievements as high performers in first half of 2017 were awarded with excellence certificates and special cash award. 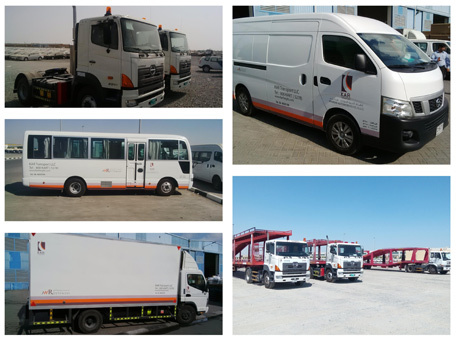 KAR Transport has invested and upgraded its truck fleet by adding new modern vehicles to viz. Prime Mover Units, Recovery Truck, Pick-up Trucks, Blind Cargo Vans, Passenger Buses and Car Carriers for company's complex land transportation operations. Some of the old fleet has been retired as per company policy guidelines. The new upgraded fleet which began service in Oct’2016 benefit from latest design and features available in the market which means they work even more efficiently hence the lower consumption and emissions. 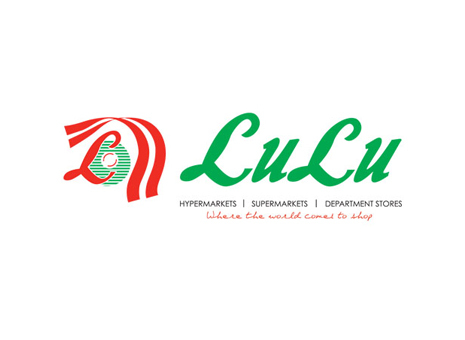 KAR Freight and Forwarding has successfully signed service level agreement with Lulu Group which is one of most well-known retail chains in UAE in August 2016 for handling its shipments both via sea and air. Based on efficient delivery performance in moving trial shipments earlier, this agreement has been signed between both organizations for a long-term partnership. KAR Freight looks forward to handle both import and export shipments across various destinations in the world for its esteemed customer. In addition to competitive pricing owing to strong relations with various shipping line and air lines, KAR Freight will also ensure efficient and reliable services from start till end through its team of dedicated personnel. 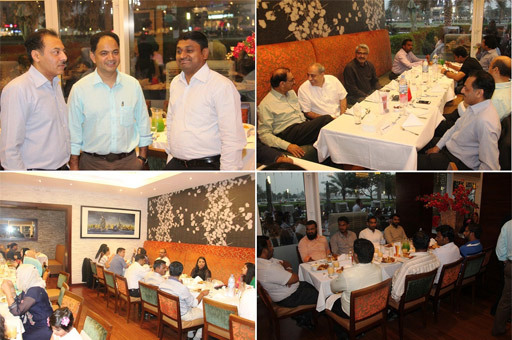 KAR Freight organized an annual Iftar dinner gathering for its staff and various key customers at Bar B.Q. Tonight Restaurant in Dubai on 22-Jun-2016. The evening saw many of the company’s long-standing customers, partners, suppliers and employees attend in good numbers. There were also guests from our parent group partners in Arabian Automobiles and AWR Holdings. The evening was a great opportunity for KARFF’s customers, partners and employees to get together for networking and increased affiliation. On this occasion Mr. Sandeep Sahae (Director) has expressed his great happiness and gratitude to everyone for participating and wished for long term association and success in the days to come. 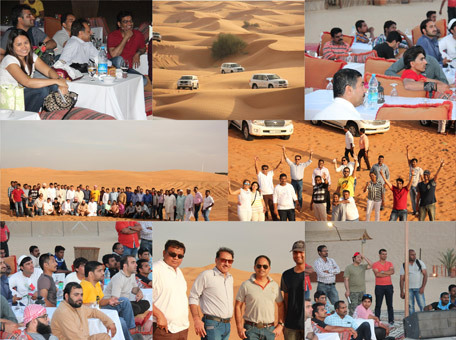 As part of Team Spirit building & employee engagement initiative, KAR Transport and KAR Freight & Forwarding employees enjoyed a sunny day together at a Desert Camp in Dubai on 08-Apr-2016. The program was organized as a celebration of team spirit and of achievements in 2015. It was a day filled with lot of fun, dune bashing, camel rides, interactive team games, & above all camaraderie among entire group. In between there were stray incidents of some people breaking into impromptu dance & singing performance. All in all it was a memorable day which was made sweeter by high participation from the employees of both KART & KARFF along with presence of staff from AAC-Spare Parts & AAC-After Sales. Looking forward to the same enthusiasm from everyone and hoping to meet future challenges head on & succeed. 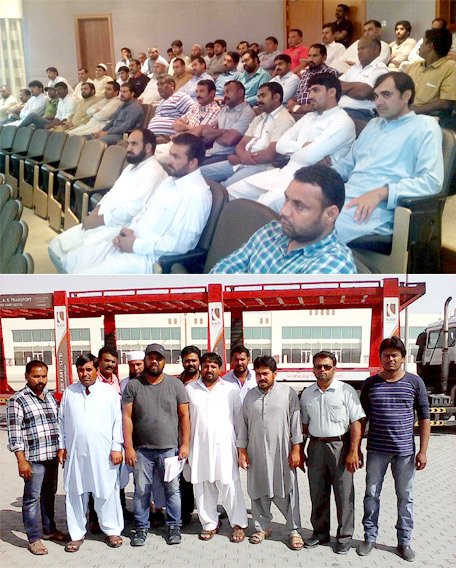 In line with AWR Group’s focus on Corporate Social Responsibility (Road Safety) and Employee Development, there was a training session on “Defensive Driving” organized by KART for all commercial drivers on 01-Apr-16 in the Head Office Auditorium. The main purpose of the initiative is to increase awareness about the importance of safe driving, build on the best driving practices on the road and most importantly reduce accidents. The second phase on practical training was organized in May 2016 in multiple batches. The practical sessions were conducted in batches throughout the month of May by an expert external trainer and focused on driving aspects like safe driving technique, positive attitude and behavior and systematic driving. Drivers were also imparted knowledge and training on other aspects of driving like identification of blind spots, skids and their avoidance, avoiding of emergency situations, the effects of alcohol/stress/fatigue, etc. 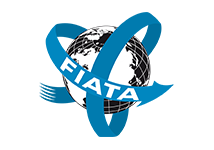 The course had been designed according to the International safe driving practices. The successful course completion will create safer drivers who are able to think actively about their behavior and also the behavior of other road users and ultimately make the roads safer. 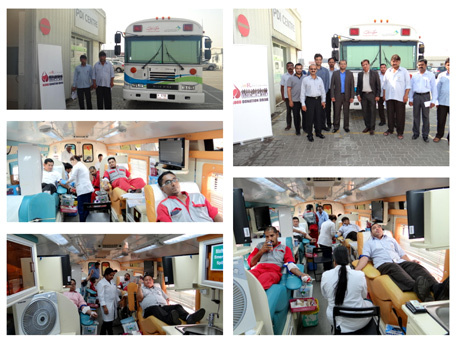 KAR Transport, in collaboration with Dubai Blood Donation Center (DBDC) of the Dubai Health Authority (DHA) and with support from Group HR hosted a Blood Donation event in the company premises in Awir (Ras Al Khor), Dubai on 05-Oct-2015. The initiative was in line with corporate social responsibility guidelines of the AW Rostamani Group. The half-day event was a big success with overwhelming participation of employees from diverse departments of the Group who generously donated blood and demonstrated their support for the cause. The main goal of the program was to aid thalassemia patients in getting blood and finding blood donors, and to help those patients undergoing treatment for various medical conditions. The program helped create awareness about the importance of blood donation and the experience of getting a chance to save a life made the event even more joyful & sweet. Under the auspices of His Highness Sheikh Hamdan bin Mohammed bin Rashid Al Maktoum, Crown Prince of Dubai and Chairman of the Executive Council; HH Sheikh Maktoum bin Mohammed bin Rashid Al Maktoum, Deputy Ruler of Dubai, Vice Chairman of the Executive Council, RTA has honored the KAR Transport with Dubai Award for Sustainable Transport (DAST) 2015. 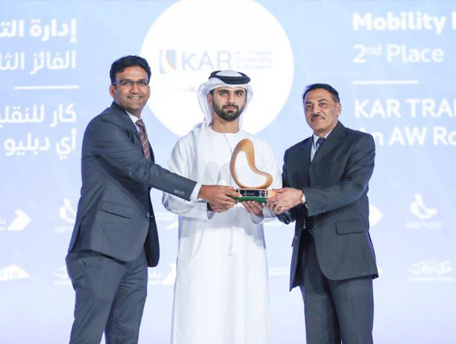 KAR Transport was awarded for its commitment to provide efficient, fast, safe and cost effective freight management solutions to its customers in order to make transportation more sustainable in the UAE. 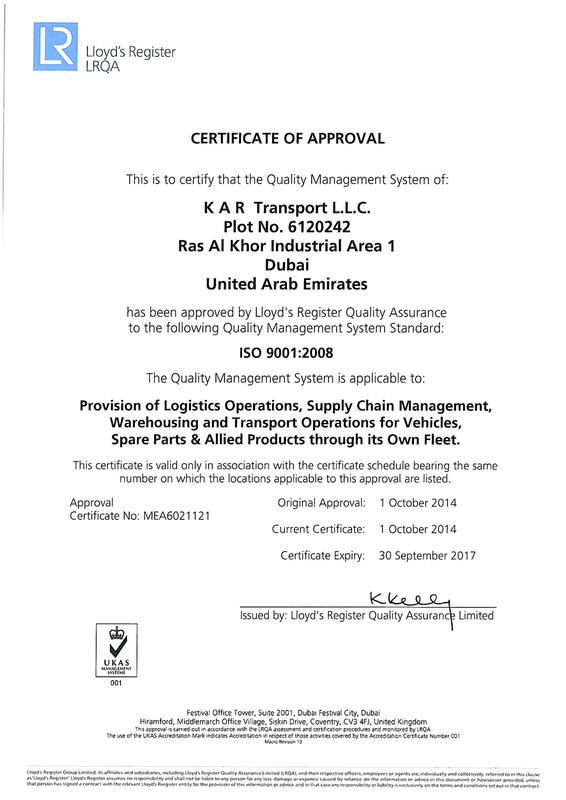 KAR Transport LLC has been awarded ISO 9001:2008 Certification in October 2014 by Lloyd's Register Quality Assurance Limited (LRQA). According to the General Manager Mr. Shirish Deshpande, “This is a natural consequence of the Company’s constant commitment to Quality Management, Highest Customer Focus and Continual Improvement as part of its Business Strategy. 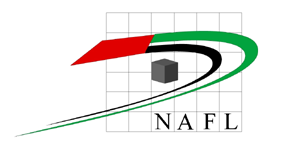 The certification is a significant milestone in our efforts to improve which includes on-going investment in Technology, Development & Process Enhancement”. This recognition guarantees KAR Group’s management procedures across all departments, and confirms the soundness of the organization as well as its ability to deal successfully with projects of all types. 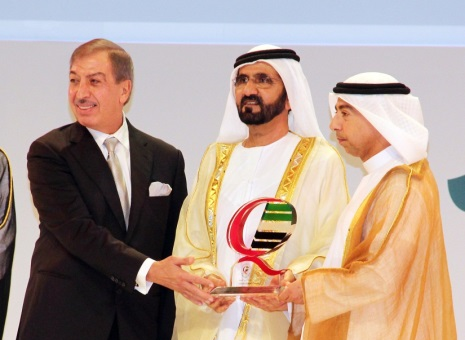 In a glittering ceremony held on 2nd June 2014, His Highness Sheikh Mohammed bin Rashid Al Maktoum, Vice President and Prime Minister of UAE and Ruler of Dubai, awarded the Dubai Quality Award to Arabian Automobiles Co. making it the first automotive distributor in UAE to achieve this recognition since the award was founded in 1994. The award was received by Mr. Michel I Ayat, CEO, AWR Group and Mr. Khalid Al Rostamani, Chairman, KAR Group. KAR group, being the complete Supply Chain Partner of Arabian Automobile Company feels proud on this achievement and looking forward to strengthen its synergies with AAC through its world class supply chain solutions. 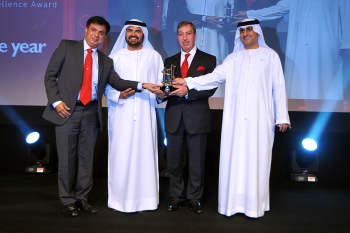 Arabian Automobiles has been awarded the Best Importer of the Year by Dubai Trade FZE. The 6th E-Services Excellence Award (ESEA), held under the Patronage of H. H. Sheikh Maktoum Bin Mohammed Bin Rashid Al Maktoum, Deputy Ruler of Dubai aims to encourage the conversion to the online channels for doing business (Dubai Customs and Port Transactions) and award the highest adopters of Dubai Trade’s e-Services. The award received by Arabian Automobile is at the highest level among the nine awards given during the ceremony. The award was received by Mr. Michel Ayat, CEO, Arabian Automobiles and Mr. Shirish Deshpande, General Manager, KAR Transport. “We are proud to receive the award for Importer of Year and we appreciate that our high standard of business has been recognized,” said Michel Ayat. It was a proud moment for KAR Transport as well, being the 4PL Logistics Service Provider to Arabian Automobiles Co LLC.